Here is a list of funding options that Ohio offers to parents of children with autism and special needs. We are approved providers of the Autism Scholarship. Please click on the link for more information on how to use the $27,000 annual autism scholarship as a funding option for your child with autism . We accept Jon Peterson Special Needs Scholarship students. The link provides more information on how to apply for the scholarship as a funding option for your child with special needs. We are approved as social/recreational groups for the Beyond Words Foundation. This funding option is an excellent source that provides money for children with autism and special needs to work on socialization skills. Matthew's Lending Library is a nonprofit location in Lakewood Ohio that loans adaptive equipment to children and young adults with special needs. You can find an additional funding option once per year by applying to the Zane's Foundation. 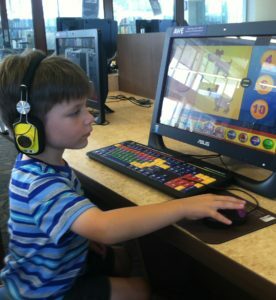 ACT Today provides quarterly funding to kids with autism. The United Healthcare Children's Foundation provides funding for children under the age of 16 with medical needs not covered by their commercial insurance policy. We accept cash, checks, or credit cards.